GALION — Brush and Palette Art Gallery has announced its next special show. It’s called “Holiday Extravaganza,” and will run from Nov. 4 to Dec. 30. The show features various works from area artists and most will be for sale. The opening for this show is Sunday, Nov. 5 from 2-4 p.m. and will include musical entertainment and light refreshments. The gallery, 114 Harding Way East (rear) in Galion, is open from 1-4 p.m. Tuesday, Wednesday, Thursday and Friday and from 10 a.m. to 4 p.m. Saturday. 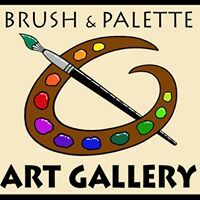 For information, call 419-468-5965 or 419-468-2944, or visit Brush and Palette Art Gallery’s Facebook page.